Home/Investigators and Research Centers/Investigators/Hortensia Ferrero, Ph.D.
Dr. Hortensia Ferrero is a full-time investigator at FIVI-INCLIVA through a Sara Borrell Grant by Health Institute Carlos III and research group leader for treatment and diagnosis of uterine diseases at IVI Foundation in Valencia. She obtained her Bachelors degree form the University of Valencia in 2006, with a major in Biology. She then obtained a Master’s Degree in Biotechnology and Biomedicine (2008), focusing on Human Reproductive Biology. She carried out her PhD studies with a PFIS fellowship granted by Health Institute Carlos III. In 2013, she worked six months with Dr. D. Stephen Charnock-Jones’ group at University of Cambridge in the Department of Obstetrics and Gynaecology, in the UK, supported by a grant by Health Institute Carlos III. She received her PhD degree in Biotechnology with special international mention, in 2014 from University of Valencia. Her thesis project on the angiogenic process regulating the corpus luteum in physiological and pathological conditions recieved an Extraordinary Award in 2015. Subsequently, Dr. Ferrero conducted studies on the diagnosis and treatment of endometriosis using eutopic endometrial samples from patients with endometriosis, and heterologous and homologous animal model of this disease. As a researcher, Dr. Ferrero has published in leading reproductive journals, such as JCEM, Human Reproduction, Fertility and Sterility, Placenta, Biology of Reproduction, and presented in several national and international meetings in the field of Reproductive Medicine, including ESHRE (European Society of Human Reproduction and Embryology) and SRI (Society of Reproductive Investigation). Dr. Ferrero also participates as researcher in competitive project-grants as emerging researcher (Valencian State Governments) and researcher (Spanish Ministry of Economy and Competitiveness), besides acting as regular reviewer in different international journals, such as Human Reproduction, and Fertility and Sterility. Dr. Ferrero has been involved in teaching in postgraduate courses since 2009, in Human Reproduction Module form the Master’s Degree in Biotechnology of Assisted Human Reproduction. 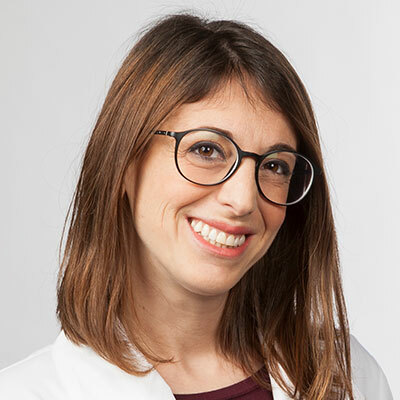 In addition, she is supervising a doctoral thesis on uterine fibroids, since 2016. Growth disparities in uterine leiomyomas associated with MED12 mutation.